It is generally rare for two different companies, let alone a client and its vendor, to work together so thoroughly, on so many levels, that the resulting whole is greater than the sum of its parts. 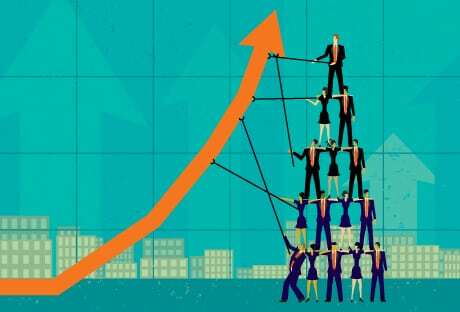 However, thanks to Sales Renewal’s revolutionary JointSourcing Solution (a unique hybrid combining elements of joint venturing with elements of outsourcing, in which shared risks and rewards align Sales Renewal’s economic incentives with those of its clients), such synergies are the norm. If you’ve been wondering how JointSourcing and its three, Blueprint, Build and Sell steps actually works in practice, in the real world, this latest installment of our JointSourcing in Action Case Studies series is for you. This issue provides a detailed, step-by-step view of how Sales Renewal partnered with our client MATsolutions to overcome their business, marketing and sales challenges to produce a marketing & sales system neither company could have developed as quickly or efficiently on its own. One result of the collaboration: MATsolutions receiving the prestigious Blue Ribbon Small Business of the Year for 2014 award from the U.S. Chamber of Commerce. Read the JointSourcing in Action case study. If you’ve been wondering how JointSourcing and its three, Blueprint, Build and Sell steps actually works in practice, this latest installment of our JointSourcing in Action Case Studies series is for you.